This is a park near Swiss Cottage where I jogged daily. I've been a professional writer since 1986, when I joined the United States Navy and worked as a cryptologist for four years. After earning an undergraduate degree in Print Journalism with a minor in English, I took a position as a general assignment reporter for a small paper in rural Tennessee. Then, the Internet and its World Wide Web arrived. In 1994, I combined my technology training from the military with my reporting skills and spent the next 18-odd years writing in the corporate workforce in such positions as technical writer, project manager, marketing coordinator, marketing director, and Webmaster. A Kentucky native and longtime Nashvillian, I've published my journalism, poetry, and prose in such publications as The Tennessean, The Hendersonville Star, The News Examiner, The Trunk, The Record, Muscadine Lines: A Southern Journal, The Tennessee Writer, Popmatters.com, and the British Web journal Chapter&Verse, but I am perhaps best known as a passionate promoter of the arts throughout middle Tennessee. After studying creative writing in London, England and earning a MFA in Writing from Spalding University in Louisville, Kentucky, I founded The Writer's Loft, a creative writing program at Middle Tennessee State University, as well as created, edited, and published the program's literary journal, the Trunk. For the program's first four years, I promoted the written word by establishing public readings, panel discussions, and workshops throughout middle Tennessee. 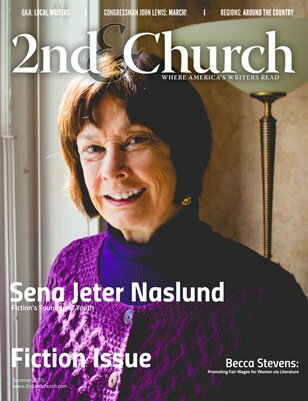 I founded and published 2nd & Church, a literary journal by, for, and about writers and readers throughout Tennessee. These photos are of the Swiss Cottage community in London, England. These are photos of settings from my manuscript.